Born in 1947, Justice Moldaver spent his formative years in Peterborough, Ontario. He attended the University of Toronto, where he earned a Bachelor of Arts in 1968 and a Bachelor of Laws in 1971 (Gold Medalist). He is married to Rivka ("Riky") Moldaver and has two daughters, Shannon and Jessica, and two grandchildren. Justice Moldaver articled with the law firm of Thomson Rogers and then with Mr. G. Arthur Martin, and was called to the Ontario Bar in 1973. He began his criminal law practice with the law firm of Pomerant, Pomerant and Greenspan (later Greenspan, Gold and Moldaver), where he became a partner in 1975. Justice Moldaver was appointed Queen’s Counsel in 1985. After practising as a sole practitioner for two years, he was affiliated with the law firm of Goodman and Goodman from 1988 until his appointment to the Bench. 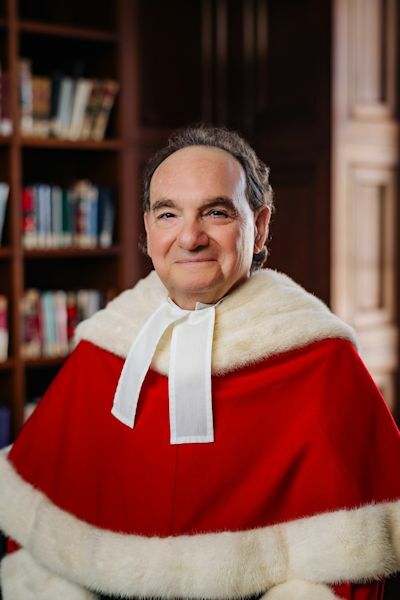 While in practice, Justice Moldaver was Director of the Criminal Lawyers' Association, Director of the Advocates' Society and Co-Chair of the University of Toronto Academic Tribunal, Discipline Subsection. He co-chaired the 1989 Advocacy Symposium at Massey Hall as well as the 1990 Advocacy Symposium at Roy Thomson Hall in Toronto, which featured a panel composed of Canadian Chief Justice Dickson, U.S. Chief Justice Rehnquist, and U.K. Lord Chancellor MacKay. Justice Moldaver began his judicial career as a member of the High Court of Justice for Ontario when he was appointed to the Supreme Court of Ontario (later the Ontario Court of Justice (General Division)) on April 12, 1990. He was elevated to the Court of Appeal for Ontario on December 22, 1995 and to the Supreme Court of Canada on October 21, 2011. Throughout his career, Justice Moldaver has played an active role in the legal community. From 1978 to 1995, he co-taught criminal law courses at Osgoode Hall Law School and at the University of Toronto Law School. He has acted as a speaker and an instructor in numerous continuing education programs for both the judiciary and the profession, participating in educational programs sponsored by the National Judicial Institute and the Canadian Institute for the Administration of Justice, teaching criminal law to newly appointed judges from across Canada, and instructing in the Ontario Crown Attorneys' Association, Criminal Lawyers' Association and Ontario Bar Association continuing education programs. Justice Moldaver is an Honorary Fellow of the American College of Trial Lawyers. Webcast of the ceremony in honour of the Honourable Michael J. Moldaver, held on November 14, 2011.